A casual Mexican eatery, offering fresh tacos and more, has made its debut in the neighborhood. Located at 120 Fifth St., Suite C-100, the fresh arrival is called Jimboy's Tacos. 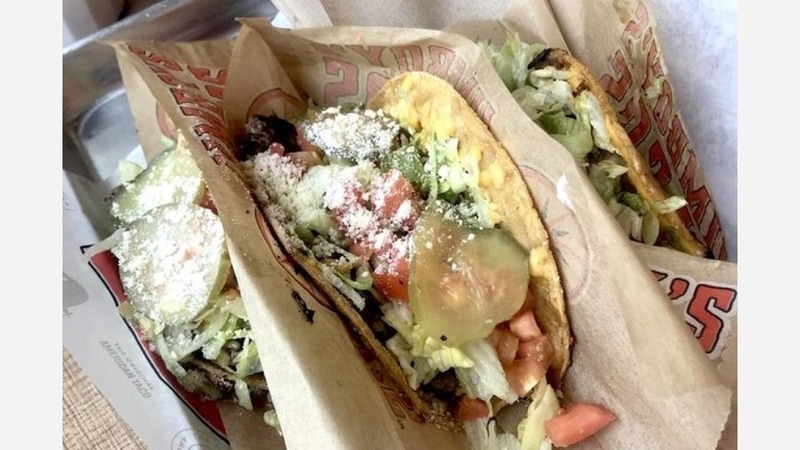 The family-owned California chain, with additional outposts throughout the state, serves up signature tacos complete with stone-ground corn tortillas, along with burritos, enchiladas and other Mexican favorites. With a four-star rating out of 36 reviews on Yelp so far, Jimboy's Tacos has received a good response. Heather L., who was among the first Yelpers to review the new spot on July 5, wrote, "The best fried tacos! ... From the Parmesan cheese topping to the perfectly fried taco and ground beef, it was a celebration in my mouth." "Really tasty tacos!" echoed Yelper Mike B. "Staff was really friendly. I can't complain that it was just a little slow getting food, it's only been open a few weeks, and any food place has to get time to be in a groove." Intrigued? Stop in to try it for yourself. Jimboy's Tacos is open from 7 a.m.-10 p.m. daily.